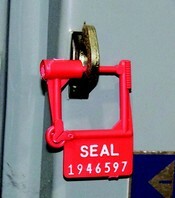 Spring-Loks are available with a seven digit serial number heat stamped on one side only. 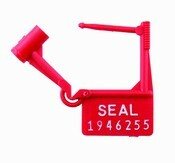 Our stock seals come standard in red with white numbers. Great for use with ATM cassettes, lock boxes, key cabinets, etc. Other colors available by special order. 1000/Box. Priced per Box.